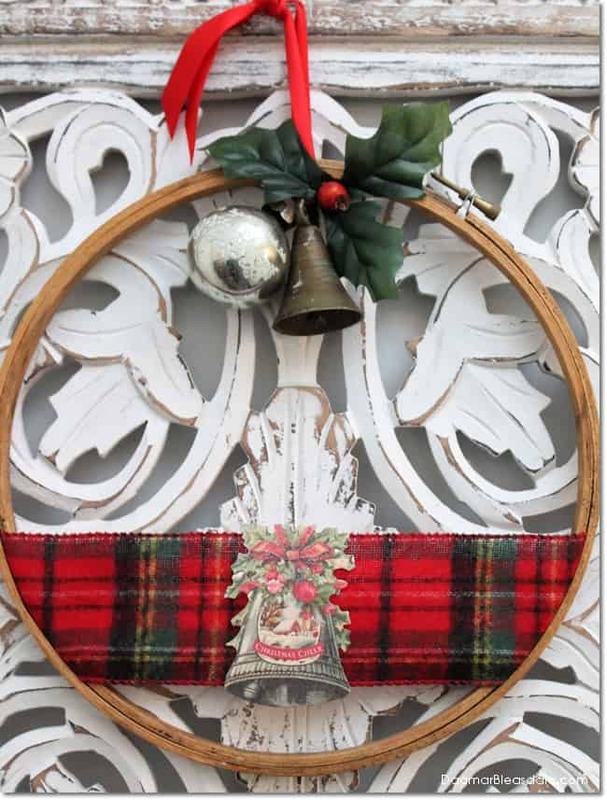 Do you have all the gifts you need for Christmas or a birthday or other occasions? 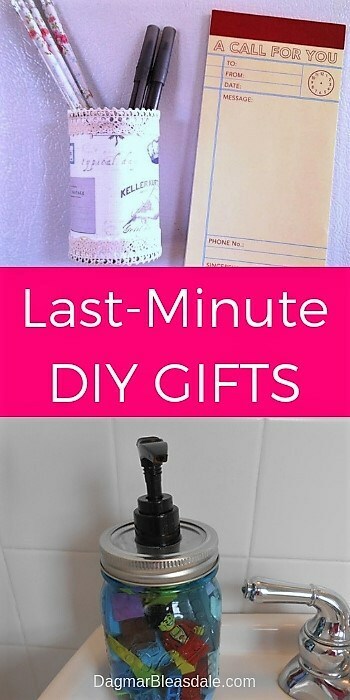 If there is no time to run out and buy one or shop online, you might already have supplies at home to make one of these following last-minute gift ideas! 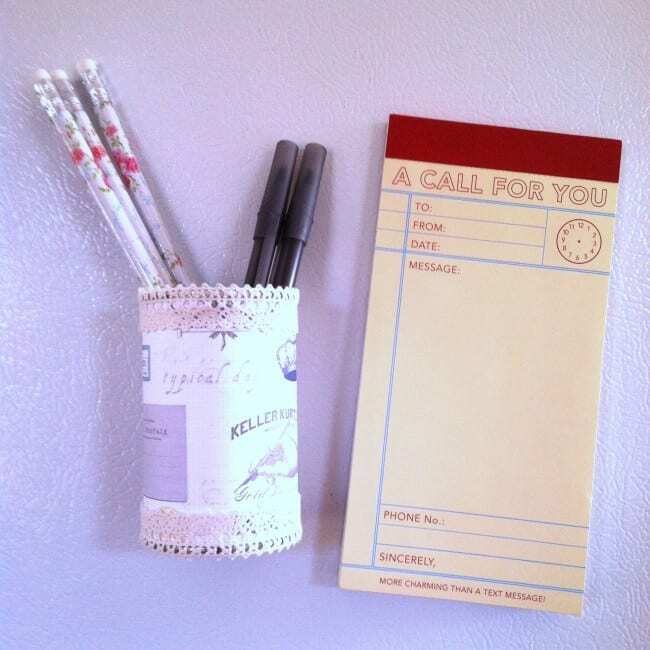 Also, if you still need a few gifts and don’t want to brave the malls or spend a lot of money, why not make handmade gifts? They are usually much more appreciated anyway. This is a no-brainer gift for kids. We want them to wash their hand all the time — this makes it fun for them! 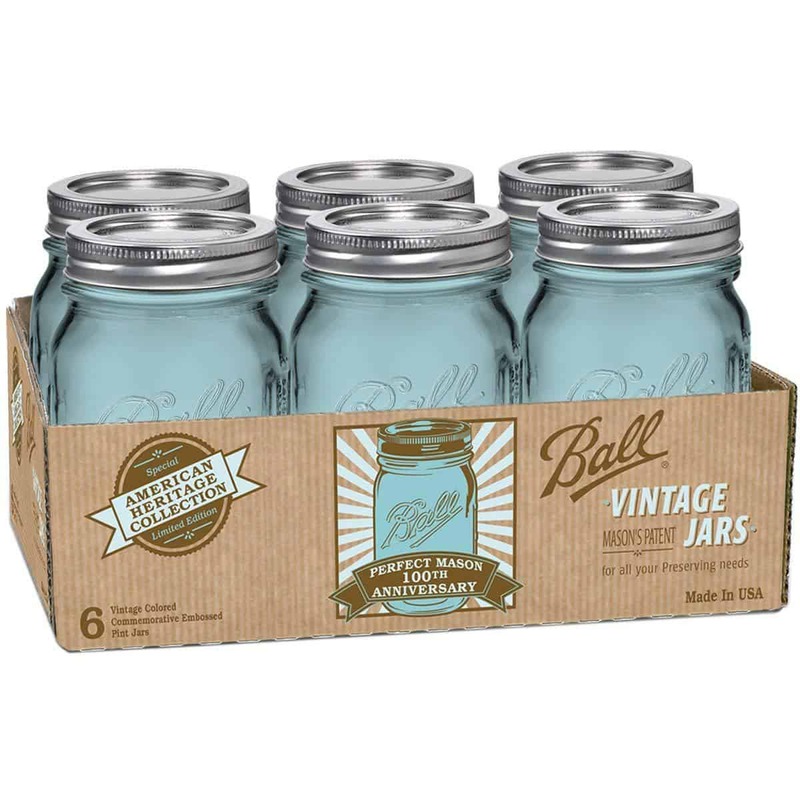 All you need to make this is a mason jar with a lid, and a pump. I usually repurpose the pumps that come with hand soap or similar products, but you can find them on Amazon as well. 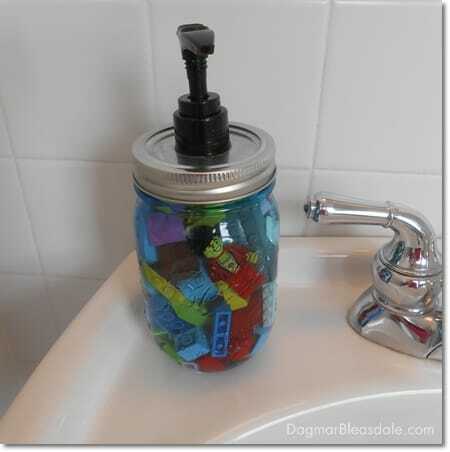 Follow the link to my easy tutorial to make this LEGO soap dispenser of how to get the pump into the top of the mason jar lid. Then just add soap and LEGOs! If you want to make it even more simple for yourself, then buy these clear soap dispensers that come with pumps and pretty stickers. The disadvantage is that since the opening is smaller, you’ll only be able to add very small LEGO pieces into the soap dispenser. 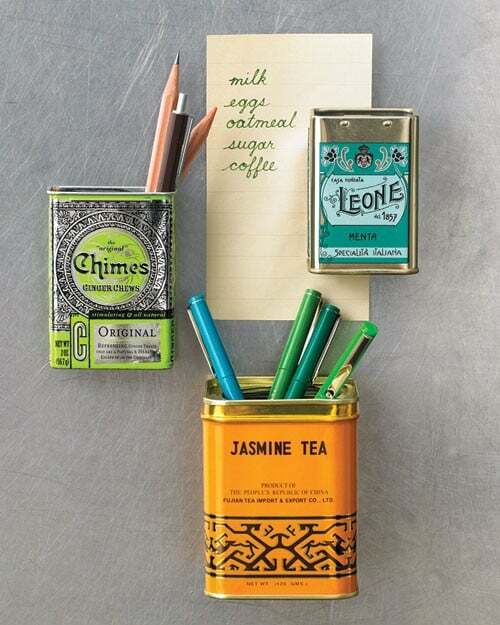 All you need for this gift is a small can and magnet strips that have strong adhesive on one side. This is pretty self-explanatory, right? 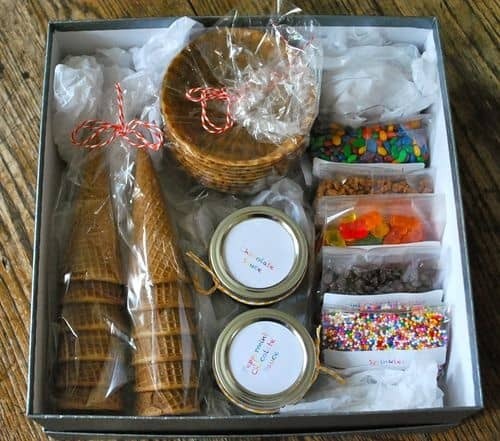 Recycle a box and fill it with yummy goodies like waffle cones and toppings — the recipient just has to add ice cream! Is someone you know saving up for something expensive? Then this is the perfect gift! 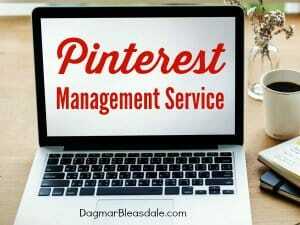 Just find a picture of that desired item and put it inside the shadow box with the first deposit. Voila — instant gift. If you don’t have a shadow box, I guess you could also just frame a dollar note and write something like “Open in case of emergency” or something similarly clever on the glass. 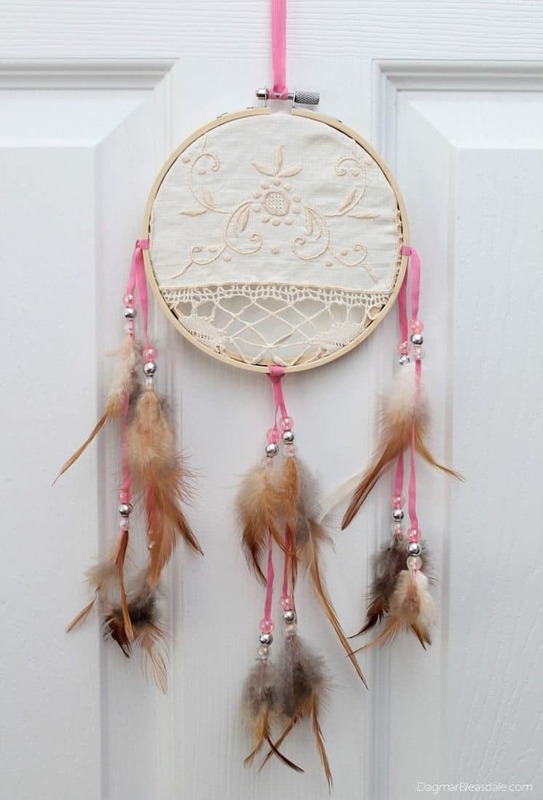 If you have an embroidery hoop and some fabric or a doily, you can make this DIY dreamcatcher! Press a doily or something else with a patters into air-drying clay to make a pretty bowl! This is such an easy DIY gift that your kids can make their own bowls. Let the clay dry for one day, and then you can paint the bowl. Click on the source for my full tutorial. Don’t want to run to the craft store for air drying clay? Then make your own out of 1/2 cup cornstarch, 1 cup baking soda, and 3/4 cup water. Bake at 175. It’s supposed to be better than salt dough. 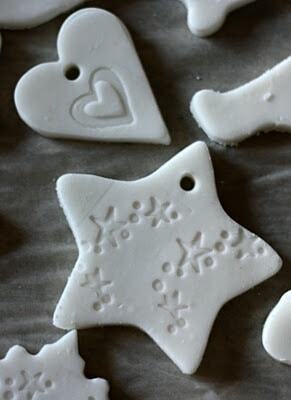 I remember making dough with salt and flour and water as a kid and making ornament with it for my parents. It was a lot of fun, and I might just do this this weekend with Landon. What a genius idea, similar to this ingenious celery stalk rose! Repurposed a soda bottle to make this easy artwork on inexpensive canvases. Don’t have a canvas? I guess you could also print on paper and can then frame it later for a pretty handmade gift. 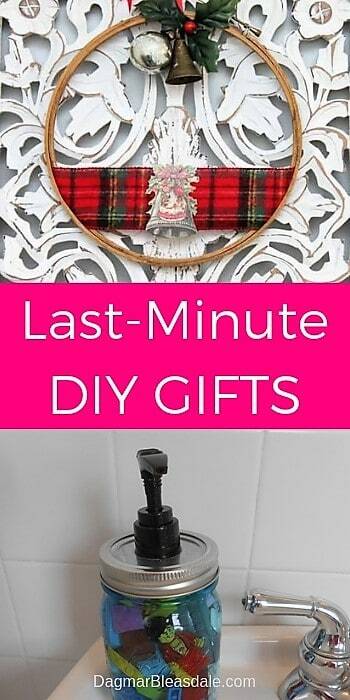 Enjoy making one or more of these last-minute DIY gift ideas — obviously they would make great gifts all year for all kinds of occasion, not just Christmas or Hanukkah. 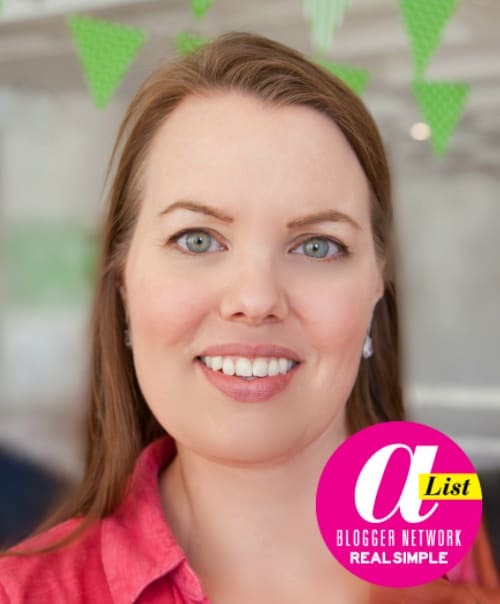 If you want many more gift ideas, you’d like these gift guide posts! 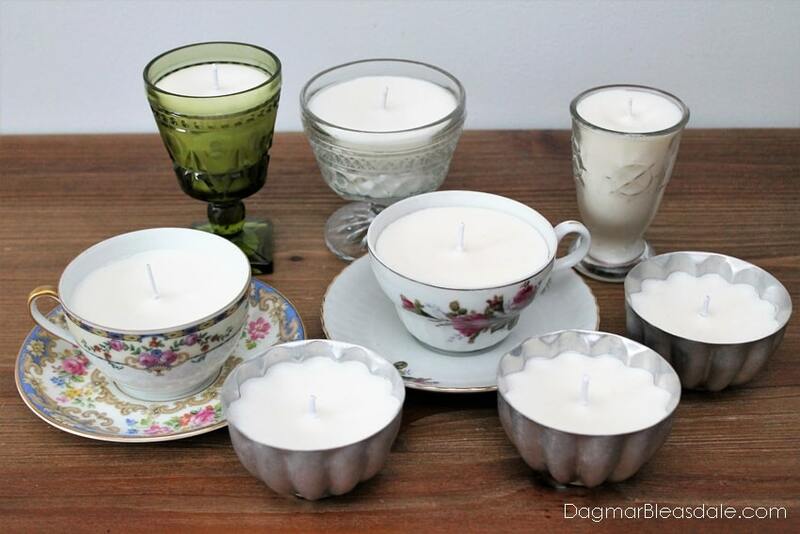 If you have a little more time, you might want to make your DIY candles as gifts – or for yourself! The DIY Ornaments ingredient amounts are way off. Using the exact measurements creates and “self-leveling” soup….fun to play with in a bowl, but needs remedy. I mixed in 1/2 cup flour and 1/2 tsp Cream of Tartar, mixed over low heat on stove. Not ideal but didn’t have to throw the whole batch out. Was able to roll out and use metal cookie cutters (for ornaments). 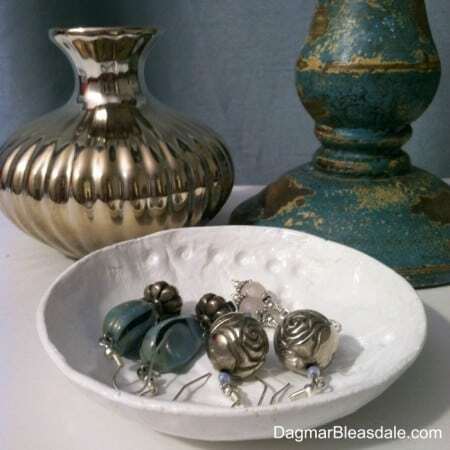 These are great gift ideas, Dagmar! Thanks. This is a great list, especially since my kids can make most of these. 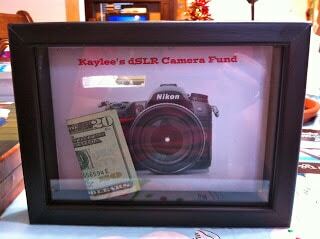 I always struggle with how to help them make nice gifts for others, so they can focus on giving during the holidays. We will definitely be using a couple of these this year. Thanks! These are great. What do you know but I need several last minute Xmas gifts! I wish I had seen these earlier. We ended up baking some cookies to gift.